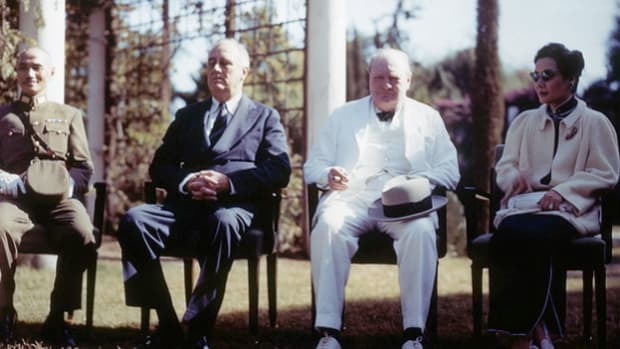 Held near Berlin, the Potsdam Conference (July 17-August 2, 1945) was the last of the World War II meetings held by the “Big Three” heads of state. 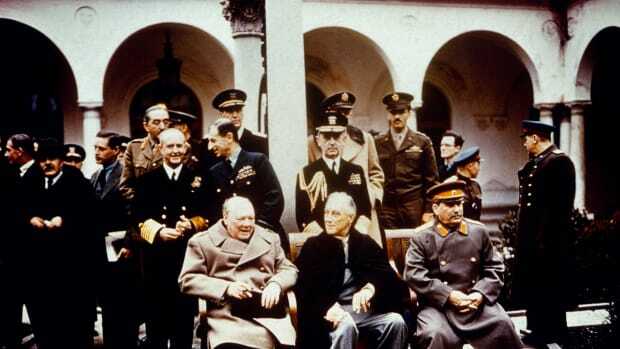 Featuring American President Harry S. Truman, British Prime Minister Winston Churchill (and his successor, Clement Attlee) and Soviet Premier Joseph Stalin, the talks established a Council of Foreign Ministers and a central Allied Control Council for administration of Germany. The leaders arrived at various agreements on the German economy, punishment for war criminals, land boundaries and reparations. 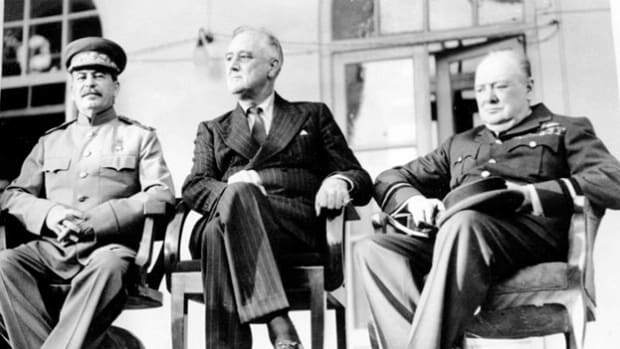 Although talks primarily centered on postwar Europe, the Big Three also issued a declaration demanding “unconditional surrender” from Japan. 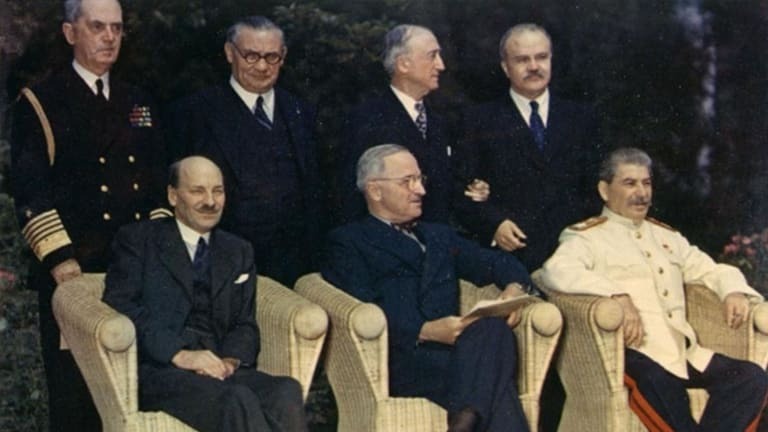 The Potsdam Conference, held near Berlin, July 17-August 2, 1945, was the last of the Big Three meetings during World War II. 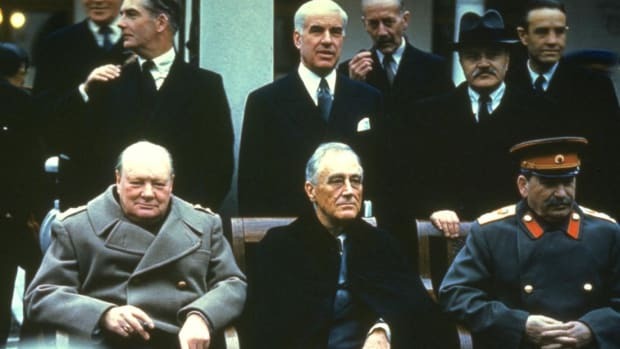 It was attended by Premier Joseph Stalin of the Soviet Union, the new American president, Harry S. Truman, and Prime Minister Winston Churchill of Great Britain (replaced on July 28 by his successor, Clement Attlee). On July 26, the leaders issued a declaration demanding ‘unconditional surrender’ from Japan, concealing the fact that they had privately agreed to let Japan retain its emperor. Otherwise, the conference centered on postwar Europe. A Council of Foreign Ministers was agreed upon, with membership from the Big Three plus China and France. Military administration of Germany was established, with a central Allied Control Council (the requirement that acc decisions be unanimous would later prove to be crippling). The leaders arrived at various agreements on the German economy, placing primary emphasis on the development of agriculture and nonmilitary industry. The institutions that had controlled the economy under the Nazis were to be decentralized, but all of Germany would be treated as a single economic unit. War criminals would be brought to trial. Stalin’s request to define the Polish-German border was put off till the peace treaty, but the conference accepted his transfer of the land east of the Oder and Neisse rivers from Germany to Poland. Regarding reparations, a compromise was worked out, based on an exchange of capital equipment from the Western zone for raw materials from the East. It resolved a dispute but set the precedent of managing the German economy by zone rather than comprehensively as the Western powers had hoped. 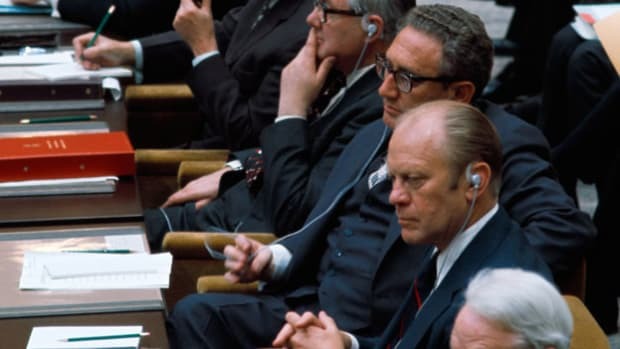 Although postwar Europe dominated the Potsdam agenda, the war in the Pacific lurked offstage. Truman received word of the successful atomic bomb test soon after he arrived at Potsdam; he told Churchill the news but mentioned ‘a new weapon’ only casually to Stalin. Truman continued to solicit Stalin’s assistance against Japan, but he knew that if the bomb succeeded, Russian help would not be needed. Indeed, the bomb would give the United States unprecedented power in the postwar world. The Reader’s Companion to American History. Eric Foner and John A. Garraty, Editors. Copyright © 1991 by Houghton Mifflin Harcourt Publishing Company. All rights reserved.